If you've been looking for the right time to make some real changes in your life, get ready because the perfect time could be approaching sooner than you think. 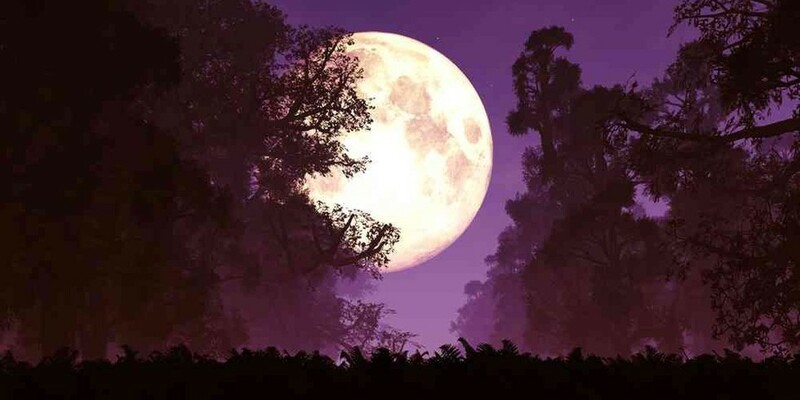 When the extremely rare super full moon brightens up the evening sky on the night of October 16, it will create a cosmic energy shift that will be felt by people around the world. However, before you can use the positive vibrations of this super moon to your benefit, you need to first understand the science behind it. If the moon is at the point of its orbit where is comes closest to the earth on the same night as a full or new moon it's known as a super moon. Because this super moon is happening on a full moon during the time of its orbit where it is the closest to the earth it will be all month. So it will emerge 14% bigger, shine 30% brighter than a regular apogee moon, meaning the time of the moon's orbit where it is farthest distance from the earth. This October super moon will happen at a time where the moon is in Aries, which will introduce an energetic, enthusiastic, and affectionate kind of energy, along with all the other lively and adventurous qualities that Aries are known for. In fact, if you are able to harness the positive vibrations, and make the most of the super moon shift, some amazing changes could be coming your way. Discover some of the benefits that can occur from the super full moon in Aries. End all the toxic relationships in your life. You need to re-assess all the major relationships in your life to make sure that they are worth the time and effort you spend on them. If you find that you have people in your life holding you back, or causing you un-needed stress, cut them off and keep your distance from them because they aren't worth your time. Since the moon is going to be in Aries, you can make use of the physical and determined traits of the sign that are perfect for getting work done. If there are any projects that you've been putting off for the right time, get started because you'll have the energy and persistence necessary to finish them now. During this time, many people are going to go through significant changes in their life, and come across opportunities that previously seemed unreachable before the shift. Since Mercury has been out of retrograde for close to a month your life should be back to a normal state for now. However, if there is anything that is still holding you back, fix it as soon as you can, so you can continue to move forward with your life worry free. Aries have a tendency to be very cocky, and often let their own sense of self entitlement get the best of them, but now is the perfect time to get that under control. Try staying grounded and avoid getting caught up with your ego, in order to go through life more comfortably. Relax and take it easy for the next couple of days, just go with the flow, and give yourself a chance to make a real connection with this energy because it will make amazing things happen in your life.